Yahoo's Got Tumblr's Teens -- But For How Long? In paying $1.1 billion for Tumblr, Yahoo has just gotten the attention of the 300 million, predominantly young people who have made the site one of the most engaged communities on the web. But hanging on to that community may be difficult, say analysts, while focusing on an emerging truth of the web: Though young people beckon as the most prized of users, they can also be markedly fickle. Yahoo just paid a bundle to reach people who have proven easily distracted and inclined to move on. It's a dilemma with which many social media sites are grappling, as they face off against a seemingly endless proliferation of new social networks all vying to be the favorite among millennials. In a call with investors on Monday morning, Yahoo chief executive Marissa Mayer explained that Yahoo and Tumblr’s differing demographics would give the company’s advertisers access to a valuable new audience.  More than 65 percent of Tumblr’s users are under 35, Tumblr chief executive David Karp told The Huffington Post at a Yahoo press conference Monday evening. Yahoo’s users, by contrast, “tend to be slightly older,” said Mayer. Yet it remains to be seen how loyal those teens and 20-somethings are to the suite of sites they have embraced online -- from Tumblr and Twitter to Facebook and YouTube. Like other social networking sites, Yahoo and Tumblr will be challenged to stay relevant to millennials, a population with an unquenchable appetite for the next new thing, an instinctive aversion to anything deemed uncool or corporate and the technical know-how to switch services easily. After all, teens and 20-somethings regularly outgrow their offline hangouts, gradually moving from their parents’ basements to bars and other spots. Who’s to say the same won’t happen online? Karp maintained that Tumblr can hold onto its younger users because of its focus on content, rather than relationships. Mayer, for her part, referred to Tumblr not as a “social network” but as a “media network” during her call with investors Monday. Tumblr helps people to create and distribute content, said Karp, who argued these activities are particularly popular among younger audiences. Yet some experts speculate that younger demographics may be more fickle than their parents or older peers. Not only do they have an ever-expanding selection of sites and services from which to choose, but these younger users are “more ambitious in what they explore,” noted Brian Solis, an analyst with Altimeter Group. Just a few years ago, another mass media company paid top dollar for an up-and-coming social network that, like Tumblr, offered what reporters at the time deemed “a unique 'in' with the preteen, teen, and young-adult population” and that enjoyed “surging popularity with young audiences” -- Myspace. Yet in the eight years since News Corporation’s 2005 acquisition of Myspace, the percentage of teens on the social media site has dropped dramatically. In 2006, 85 percent of teens who had social media accounts said their Myspace profile was the one they used most often, according to the Pew Research Center. By 2011, only a quarter of teens with social media accounts even had a Myspace profile. Of course, Myspace’s dwindling popularity isn’t the only evidence that young users are inherently capricious in their online habits. Myspace's own strategic missteps -- and Facebook’s concurrent successes -- also help to account for the mass exodus. Yet Myspace’s foibles highlight how little tolerance millennials have for sites that go astray and the speed with which a flourishing site can find itself abandoned. Though data are scant on millennials’ evolving usage of specific social media sites, a 2013 survey by investment bank Piper Jaffray suggests younger users have lately been turning away from sites like Facebook and YouTube that were once their preferred destinations. The proportion of teens that named Facebook the “most important social media site” fell 10 percent in the past year to just over 20 percent, according to Piper Jaffray. Tumblr’s importance also dropped slightly: Nearly 10 percent of teens identified Tumblr as the most important social media site in the spring of 2012, while just 5 percent said the same this year. With so many alternatives from which young users can choose, social networking sites needn’t do anything besides mature to see their popularity plummet. Tumblr faces the real risk of becoming uncool by virtue of its association with Yahoo, noted Solis, and already some teens are threatening to leave the site. “Karp has to make a strategic effort every day to protect Tumblr’s culture and evolve its culture so millennials feel like it evolves with them,” said Solis. 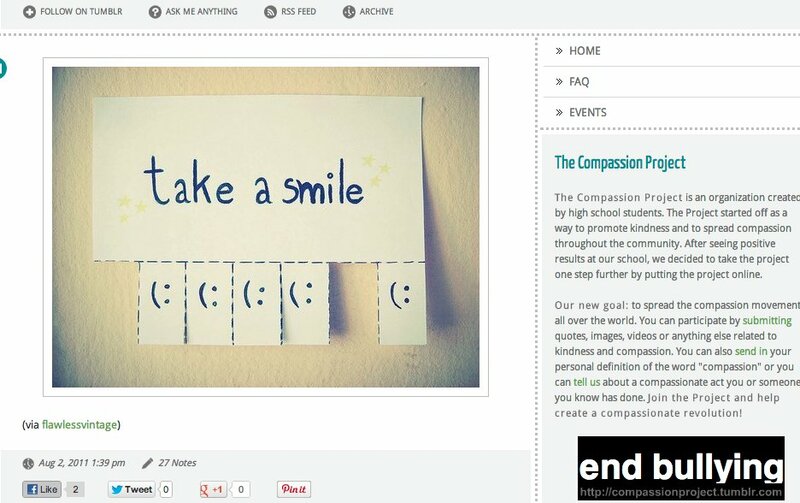 The Compassion Project -- an organization created by high school students to promote kindness and tolerance -- is <a href="http://compassionproject.tumblr.com/">spreading the love on Tumblr</a> with daily inspirational posts.